It’s that time of the evening. You’re at the point where you want to invite your friends over to watch the hockey game with some pizza and beer. There’s just one problem. Thanks to the National Hockey League lockout caused by tensions between the league’s commissioner, Gary Bettman, and National Hockey League Players’ Association Executive Director Donald Fehr, there isn’t any hockey to be watched. 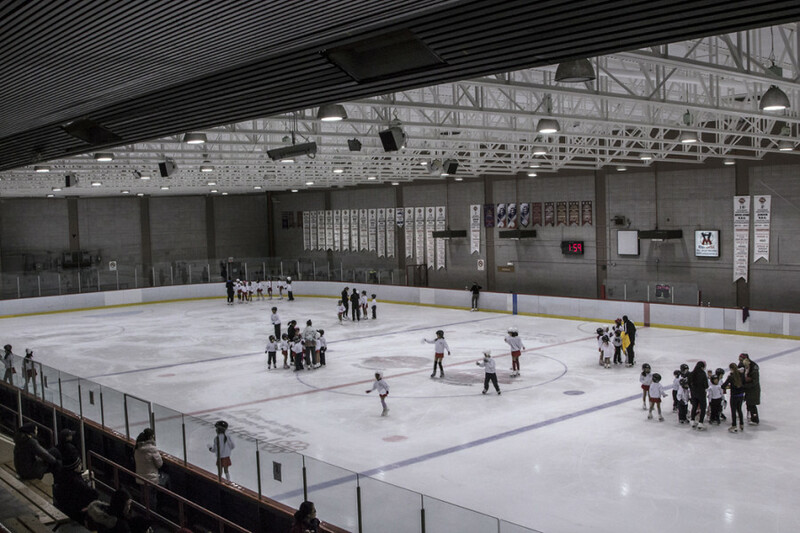 Fortunately, if you’re the type of person who would rather take to the ice than have an absence of hockey in your life, you’re in luck, as some of Montreal’s arenas open their rinks to pick-up hockey. What’s great about this arena is that it’s only a short ride on the 55 bus away from the downtown area, or a short walk from the Rosemont Metro station. You can enjoy its services—for only $5.00—every day of the workweek from 3:00 p.m. to 4:00 p.m., with the exception of Wednesdays. 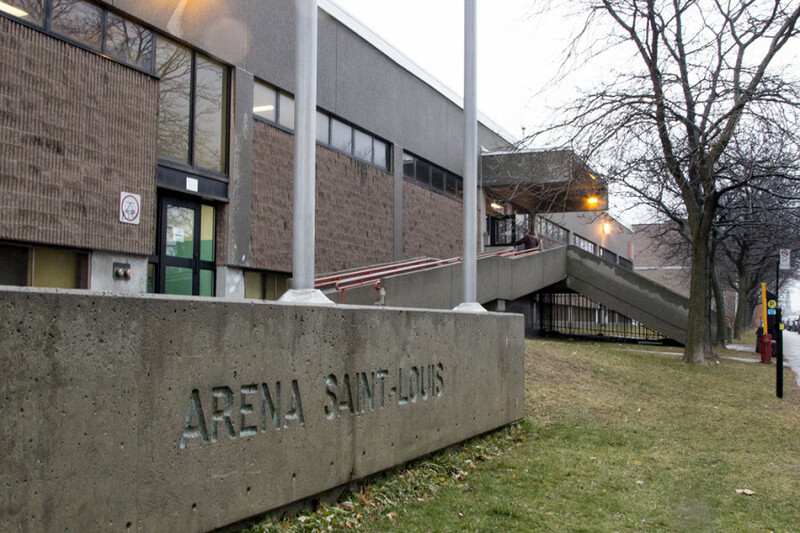 According to Sam Maniatis, a regular at St. Louis, the arena is also a safe place to play. “I like that the staff is very vigilant, that they make sure we’re all wearing our neck guards, we have our helmets on, and that they pay attention to the game while we’re out there,” he said. There are some downsides to the arena, however. For instance, if you want to use the showers in the locker room, the water is either too hot or too cold. But Edmond Bérubé, who practices in other arenas, says it’s a common problem on the island. “You can go to CEPSUM, Mont-Royal, or Outremont, and it will always be like that,” he said. Also, if you’re driving to the arena, the city recently installed parking meters in the area that start charging at 4:00 p.m., which gives you little time to change out of your hockey gear and get to your car. Nevertheless, most reviews are positive. “The staff is very friendly. I like that there’s hockey almost every day of the week,” said Scott Carter, another regular. This may be a little further away from downtown than St. Louis, but it’s closer to a metro station. To get to Bill Durnan, you exit at Plamondon, walk a couple of blocks and you’re there, whereas with St. Louis, you have to drag your hockey bag up a narrow staircase, then down the Van Horne/Rosemont viaduct to get to the Metro. On Fridays, you can take part in shinny hockey from 1:00 p.m. to 3:00 p.m. free of charge, with free parking should you decide to drive there. The place is also well-maintained. “The rooms are clean and the ice is in good condition, so I’m pleased with it,” said Bernard Tessier, one of the hockey players who frequents the arena. They also open their rink Saturday evenings from 8:00 p.m. to 10:00 p.m. for some pick-up. The problem is that they charge $7.50 to take part in it, which doesn’t sit well with those seeking more ice time. “Sometimes you’ll see some people who only come on Fridays because of the price you have to pay on Saturday,” said Jean Semana, a regular at Bill Durnan. Located in the St. Laurent borough, this arena has two rinks where you can take to the ice weekdays from 11:00 a.m. to 1:00 p.m.
There’s a $5 fee for Carte Loisirs holders—an ID card for those who regularly take part in activities offered by St. Laurent’s culture, sports, recreation and social development management—and a $6 fee for those without. If you work for the city, it’s free to rent one of the rinks. That being said, only one rink is open to the public, which can be problematic should 25 people show up for a game of pick-up, the maximum number allowed for the rink. Luckily, buses pass once every 10 minutes in front of Côte-Vertu Metro station around the time when shinny hockey is taking place. But, if you’re not so lucky, it’s a 15-minute walk from the Metro station to the arena, quite a trek for those carrying large hockey bags. If these arenas are too far for you to travel to with hockey gear, there will be many hockey rinks opening outdoors during the winter months. The closest one to Concordia is located in the Queen Elizabeth Gardens park, across from Dawson College on Sherbrooke St. W., corner Wood Ave.
For a list of other rinks near you, visit ville.montreal.qc.ca and check out the Activities and Recreation tab.